The SAT Subject Test in U.S. History helps assess a student’s knowledge of significant historical events during the various periods in U.S. History. The SAT Subject Test may assist the student in gaining advanced placement in college level U.S. History courses or can help the student gain U.S. History scholarships. The SAT Subject Test in U.S. History tests the student’s comprehension of standard U.S. History curricula generally taught in most high schools. The SAT Subject Test in U.S. History does not replace any Honors’ or Advanced Placement testing in U.S. History but will focus specifically on highlighting the students understanding of high school level course information covered in U.S. History classes. Students taking this test should have already completed 1 year of comprehensive high school U.S. History class immediately before taking the test. Independent reading of historical topics covered on the test is also recommended. The student should be able to demonstrate familiarity of items from historical time lines and major activities in U.S. History. While it is expected that the student may not have studied each of the particular periods of U.S. History referenced in the test, students should be familiar with social, cultural, political, diplomatic, and economic historical events and themes throughout U.S. history. 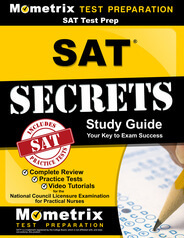 To register online for the SAT Subject Test in U.S. History, go online to: www.sat.collegeboard.org. The registration fees for the Subject Test are $22 (2010-2011 fees). Students may register for an SAT Subject Test by phone ($15, if the student has already registered for a previous test), register late ($26), or request to change a test date, a test, or test site ($25). Scores will be posted online at the student’s secure site or can be mailed for no fee. The SAT Subject Test in U.S. History can be taken at the same testing center where a student would sit for the SAT Exam. 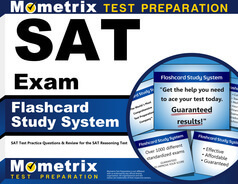 The test, offered in October, November, December, January, May, and June, is generally offered on the same day as the SAT Exam, but may also be offered on other dates. The student may not register to take both the SAT Exam and an SAT Subject Test on the same date. The test is timed, and the student has a maximum of 60 minutes in which to complete the test. This test consists of 90 multiple choice questions. The test will examine the student’s understanding of U.S. geography, concepts, and trends, and cause and effect relationships relating to historical data during periods of U.S. History. The student should be able to interpret and analyze information presented in charts, graphs, maps, quotes, pictures, and tables. Social science perceptions, generalizations, and methods that were typical in the United States during these historical periods are embedded in the test. The two largest sections of the test comprise over half of the exam: questions relating to Social Issues in U.S. History cover 20 to 24% of the test; questions on U.S. Political History consist of 31 to 35% of the test. Students should be aware of both the weaknesses and strengths of U.S. political policies of the historic periods as well as how Politics and the U.S. Economy affected social issues of the times. Economic History and Foreign policy questions comprise 13 to 17% of the test, each. Intellectual and Cultural Issues important in U.S. History also involve 13 to 17% of the total test. When arriving at the testing center, the student must bring a photo ID, two (2) number 2 pencils, and the printed admission ticket to the SAT Subject Test in U.S. History. Students are not allowed to bring to the testing site any books, notebooks, scratch paper, pens, colored pencils, highlighters, rulers, protractors, compasses, timers, cell phones, PDAs, iPods, BlackBerries, computers, laptops, or any digital or electronic equipment or devices. A student may want to bring a silent watch to keep track of elapsed time. It is recommended that the student begin the test by quickly scanning through all the questions and choosing familiar U.S. historical issues first, answering questions that the student considers to be easy, followed by continuing with the less familiar historical and economic periods, significant wars, and general time frames. Read the questions carefully after the first scan. Eliminate answers that are most obviously incorrect, and use the test booklet to mark these answers. Mark off on the test booklet questions and/or sections that have already been completed. The student is advised to be careful with questions that contain the words except, least, and not, as these types of multiple choices can be confusing. The student should not expect to be familiar with every historical period or issue nor expect to make a perfect score. The student should not take too much time on any one section or question but work steadily, continuing on to the next question before too much time has elapsed and trying not to spend more than 30 to 35 seconds on each question. Make an educated guess, particularly if the question or issue is unfamiliar, and move on to the next question.